Explanation: The longer you look at this image, the more you see. Perhaps your eye is first drawn to the picturesque waterfall called Skogarfoss visible on the image right. 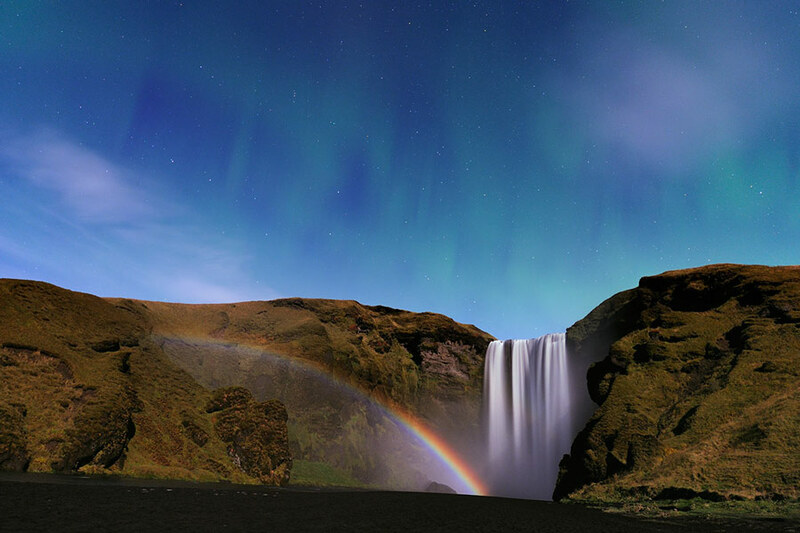 Just as prevalent, however, in this Icelandic visual extravaganza, is the colorful arc of light on the left. This chromatic bow is not a rainbow, since the water drops did not originate in rainfall nor are they reflecting light from the Sun. Rather, the drops have drifted off from the waterfall and are now illuminated by the nearly full Moon. High above are the faint green streaks of aurora. The scene, captured one night last month, also shows a beautiful starscape far in the background, including the Big Dipper, part of the constellation of the Great Bear (Ursa Major).